Joe Driscoll & Sekou Kouyate return to North America on the heels of a triumphant debut in 2014. After the release of their acclaimed album Faya by Cumbancha Discovery and a successful tour in the summer of 2014, Driscoll and Kouyate, backed by bassist John Railton and drummer James Breen, bring their electrifying collaboration to venues across the US and Canada starting January 29th. 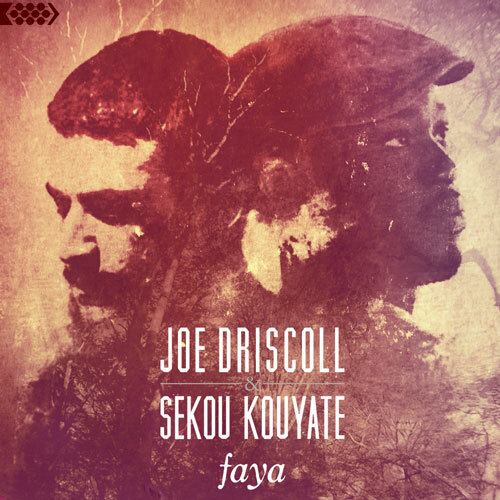 The well-worn and often overblown expression "music is a common language" has never been more apropos in the case of Joe Driscoll & Sekou Kouyate. Driscoll contributes the rapping, looping, beatboxing and songwriting talents he developed growing up in Syracuse, New York and during his own successful recording career. Kouyate, already a phenomenon in African music circles, has blown minds and ears with his hypersonic electrified riffs on the kora, bringing the exalted West African harp into the 21stCentury with use of distortion peddles, effects and previously-unimagined technical prowess. New tour dates are being added every day, so please check www.cumbancha.com/events for the latest updates.